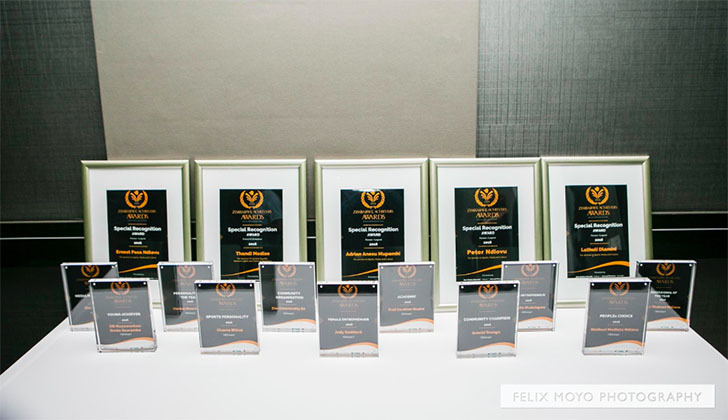 Nominations have since opened and people have until 31 July to put forward names of Zimbabwean persons and businesses they believe are excelling and have potential to win various categories. The Zimbabwean community Down Under, as Australia is commonly known, has grown over the years; with many venturing and excelling in different economic fields like in other countries such as the UK, USA and South Africa where Zimbabwean communities have traditionally settled. Interestingly Australia has seen a growing number of Zimbabweans moving to settle there for various reasons, with some individuals having been in that country for decades and doing very well. "As such, the Australian version is expected to be just as exciting as the editions we have held in UK, US and South Africa," said Mutusva. Meanwhile ZAA International has announced that the USA edition will be held on 11 November at the Marriot Hotel, Dallas while the South African edition is scheduled for 2 December this year with venue yet to be confirmed. People are being encouraged to send in their nominations for all the ZAAs through the website www.zimachievers.com and selecting the country of choice. The Zimbabwe Achievers Awards is held in countries where there is a sizable community of nationals from the southern African country. The global event has become the epitome of excellence among Zimbabweans who have chosen to live outside their home country, like many other diaspora communities from across the globe. The high profile awards, founded by Conrad Mwanza in 2010 have become the highlight of celebration for professional and artistic achievements by Zimbabweans in the UK and has spread to South Africa, USA and now Australia.